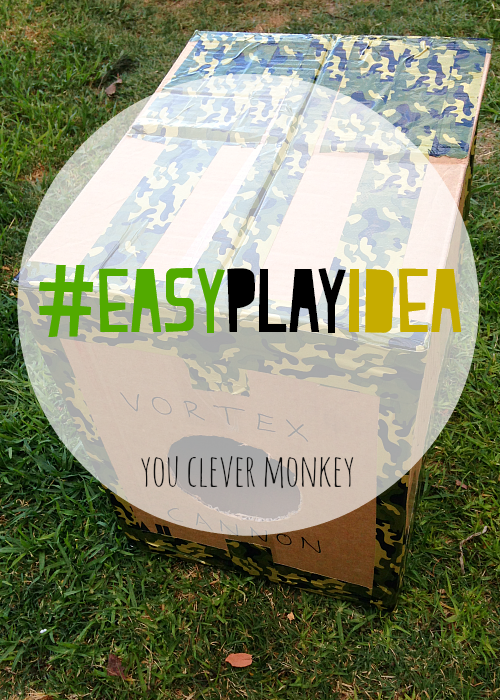 Today's #easyplayidea is another cardboard creation but the idea I'm sharing isn't mine. It was actually a Christmas gift made by my brother-in-law who is a high school science teacher. With his permission, I'm re-sharing his idea here. 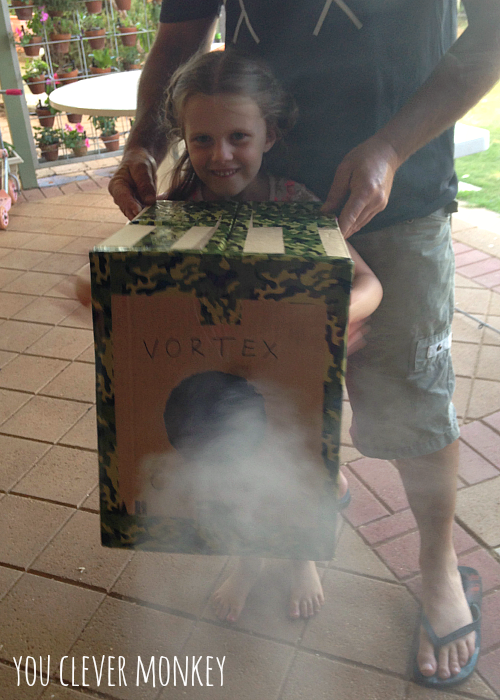 He called it a vortex cannon, the rest of the family called it 'cool'! Start by covering every gap in the cardboard box, it needs to be air tight to work properly. In the front panel of the box, carefully cut a circle in the middle of the panel. 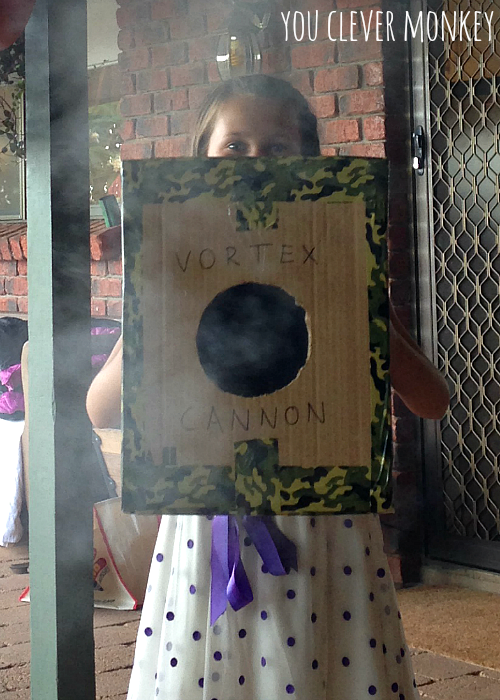 The vortex cannon is easy to make and easy to use but so surprising. To use it, simply hold the box on its sides then with both hands simultaneously hit the box gently. 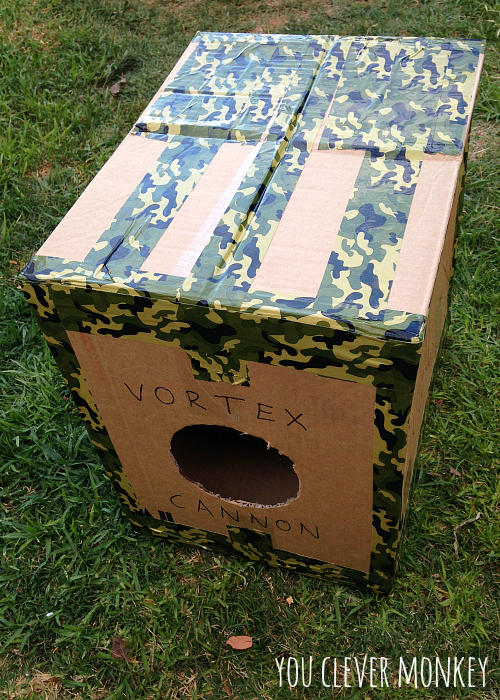 The movement of the cardboard sides displaces the air inside the box - pushing it out through the cut circle, it's only escape route, and it does so with surprising force. 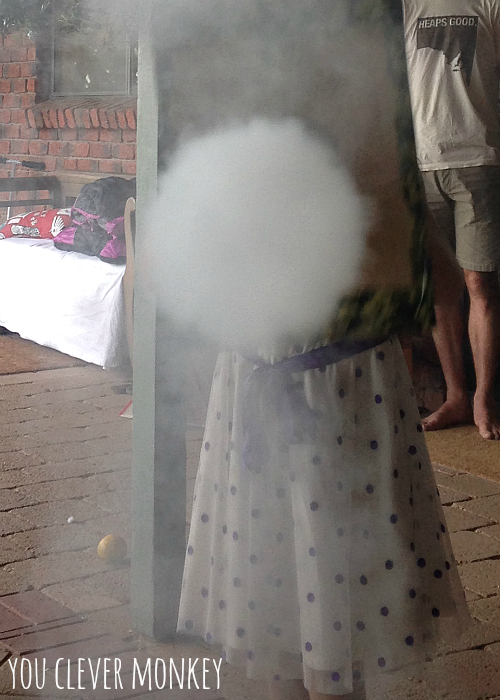 Now if you also have a smoke machine lying around you can not only feel the movement of air but see it. I apologise for the quality of the photos but only know that I withstood multiple direct smoky shots of air to try and capture even a half decent photo. 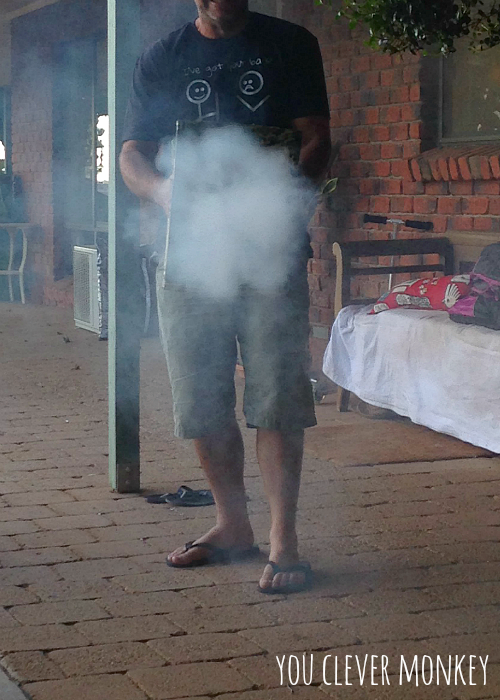 You carefully fill the box with smoke then point and tap the sides. As did the smallest amongst us. 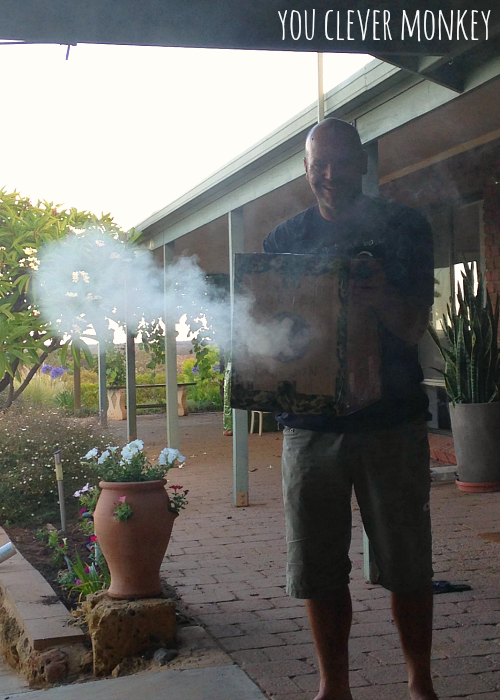 You can see how the air forms rings as it exits the box. No smoke machine? 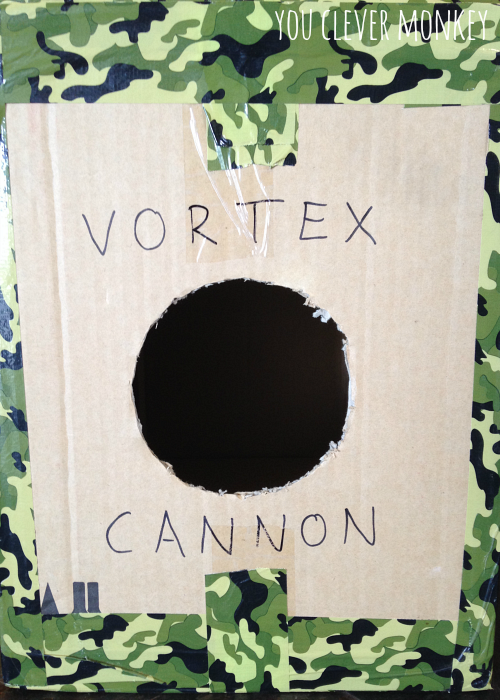 We also used our cardboard vortex cannon to knock down plastic cup stacks and generally mess up people's hair. That brings us to ten #easyplayidea posts and nearly the end of our summer school holidays here in Australia. You can read our other #easyplayidea posts - one, two, three, four, five, six, seven, eight and nine. We do hope you're enjoyed this series as much as we did! 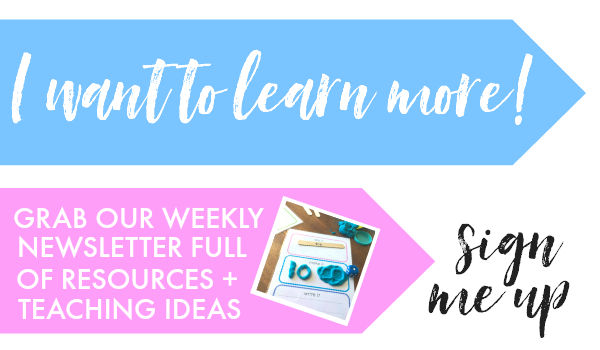 You can check out the hashtag #easyplayidea on Instagram for more easy ways to promote play and I will be continuing to tag easy play ideas there but for the next week I going to enjoy some time away with my family before heading back to school.